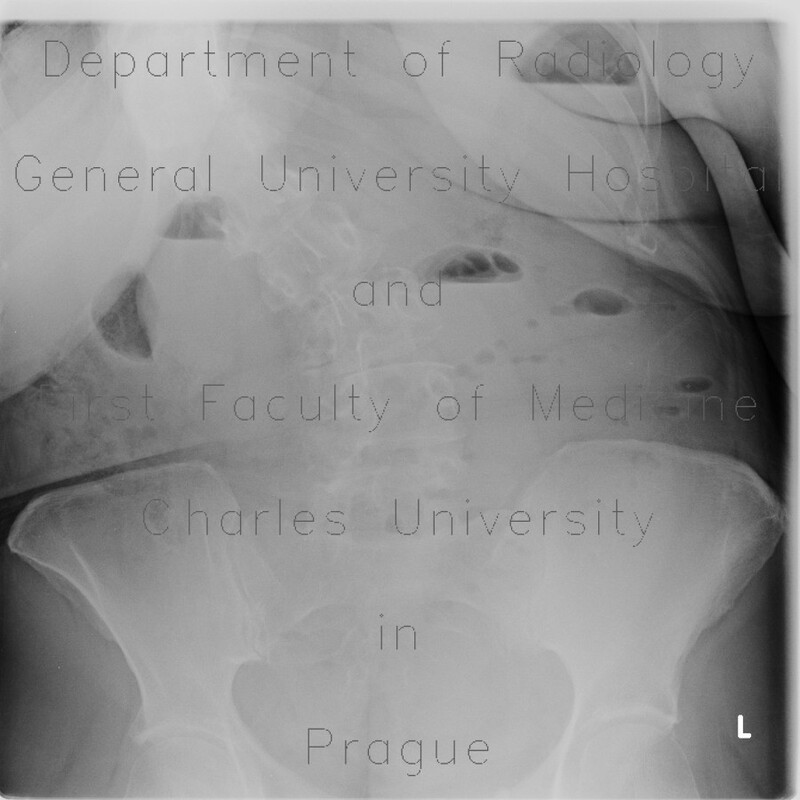 Radiograph of abdomen shows multiple air-fluid levels scattered throughout the abdomen. The largest air-fluid level below the left hemidiaphragm represents stomach distended with fluid (not a pneumoperitoneum) . Contrast study shows dilated small bowel loops - roughly jejunum and oral ileum. The contrast does not enter cecum, which remains filled with feces. The obstruction was caused by adhesions.